Cas Bonner is a marine biologist. He is possibly one of the very best in the world but since he has a habit of telling people what he really thinks and does not act with the expected reverence for the more established scientific community, he is often not in the list of people to ask for opinions. When he does give his thoughts, smart people tend to listen very carefully but they would likely not want to admit it. At forty years of age when the four-book series begins, he has just completed three years of imposed exile from the scientific community due to his penchant for speaking his mind and irking the people in charge of grant money. Without the grants, the research does not get done and universities and foundations have no use for brilliant and experienced unfinanced scientists. Perhaps, though, another reason for his ostracism was his annoying habit of being right. While this description might give the impression that Bonner is a jerk, the reverse is the truth. He is one of the good guys and many people who have worked with him or have known him outside of work would be happy to list Bonner as one of their friends. Bonner is true to his word and loyal to his friends and always there when someone needs him. It is just that if a person is expecting a more respectful demeanor when that person has not shown any reason to deserve it, there is going to be disappointment. In the field, especially deep beneath the ocean surface, Bonner is considered daring without being thought foolhardy. The ocean is his depth and he knows and respects it greatly. He realizes constantly that the sea does not care one iota for anyone and death will come quickly to anyone who does not respect her. Nature is one institution to whom Bonner shows the greatest respect. 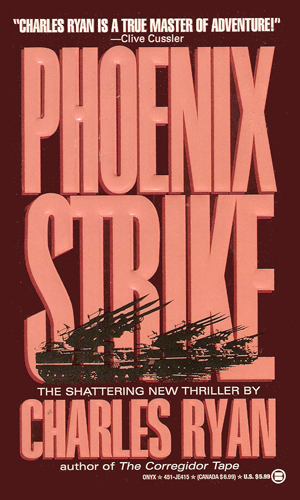 Bonner is in this collection of spy characters because during the period of his exile, during which he earned a living running a charter fishing boat out of a marina in Honolulu, he responded to a plea for help from an old friend, a response which got him involved in a hunt for a sunken cargo ship with a nuclear payload onboard. That adventure brought him to the attention of the intelligence and military communities and when other serious matters came up which required his expertise, he became the man to call. A US military ship is seized by a terrorist gang who sink it. One of the cruise missiles onboard is primed to launch. 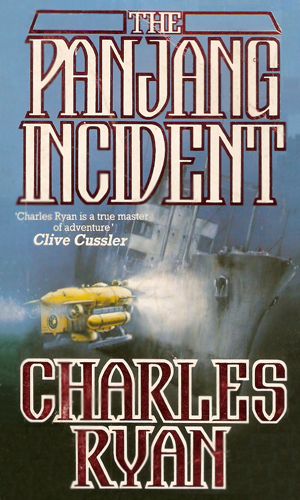 A group of trained submariners are determined to find the ship and stop the missile firing and Cas Bonner is a key player. 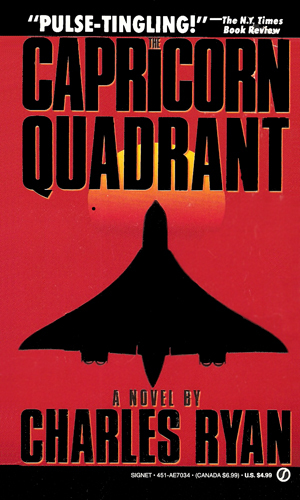 After a computer virus disrupted control of the Soviets latest stealth aircraft, ejecting its crew and coming to land on the surface of the Pacific, it is learned that its missile systems are programmed to go off. Cas Bonner did not expect to land in the middle of a fight for the plane. The leaders of many countries are meeting at a hotel near the Great Barrier Reef as a rogue agent and those who follow him prepare to kill them all. These assassins are also determined to eliminate the two people they fear can stop them and one of those intended victims is Cas Bonner. From the ashes of the Soviet Union come a group of die-hard agents who have a plan to throw the world into chaos and use that as a means to reestablish power. They intend to use a biological weapon to do this and Cas Bonner is one of the few able to stop them. 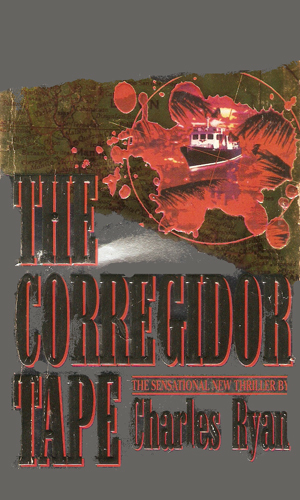 One of two marine biologists that are included in this collection, Cas Bonner is a totally different kind of character from the other, Doc Ford. Both are men it would be foolish to antagonize but their chosen profession is the only thing which is similar. As greatly different as they both are, though, both series are very enjoyable, both characters are a lot of fun to follow, and both give a great deal of excitement. The Bonner books has a techno-thriller feel to it. While not exactly in the Clancy style of writing, the stories lets the reader see what it happening to all the major players in the adventure, not just Bonner. The reader goes onto the bridge of a sinking ship, into the barracks of soldiers about to go to war, up on the bar stools as old friends swap lies, and behind closed doors of intelligence officers making decisions that often have life changing implications. And then it goes back to Bonner and see how these actions affect the man and, enjoyably, how the man will change their actions in turn. There is some darn good writing going on here.